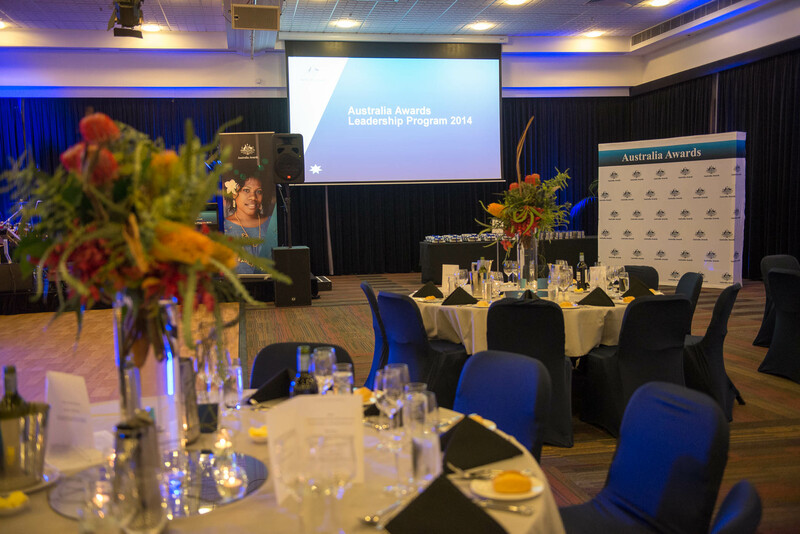 The Australia awards team from The Department Foreign Affairs and Trade contracted us to manage the series of events held over 3 days and nights in Canberra in June 2014. The event began with a day-long Reintegration Workshop attended by 150 scholars, followed by an Awards Ceremony and Dinner. This was followed by a 2-day leadership conference. The conference was opened by the Minister for Foreign Affairs and Trade The Hon. Julie Bishop and attended by 200 students and dignitaries. All delegates then attended a cocktail function at Old Parliament House attended by High Commissioners and Ambassadors from the student’s countries. Both the Conference, Reintegration Workshop and Awards Dinner were a huge success. This success led to the Department of Foreign Affairs and Trade contracting us to run a number of additional workshops and awards ceremonies.